“I’m a proud 1991 graduate of Renton High School,” proclaimed Katina Thornock, Director of Corporate Counsel and Litigation at Starbucks Corporation. 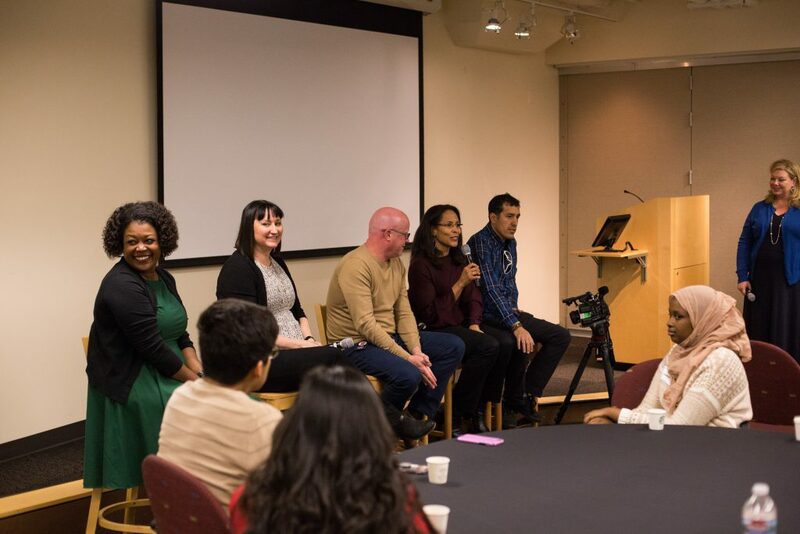 Katina (far left) and the panel of Starbucks employees during the DiscoverU Worksite Tour. During DiscoverU Week, hundreds of students from King County participate in worksite tours at companies in the region. The goal is for students to see real community members in real careers—and start thinking about the possibilities in their lives. 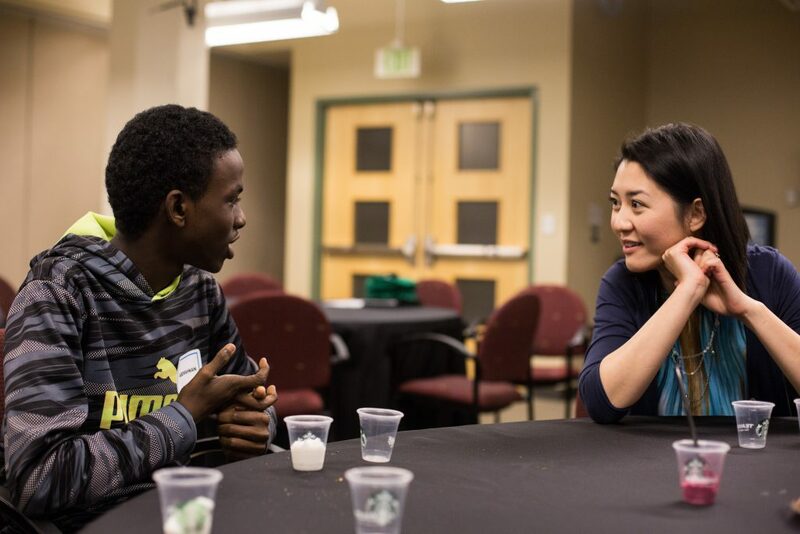 A Renton student talking with a Starbucks employee.